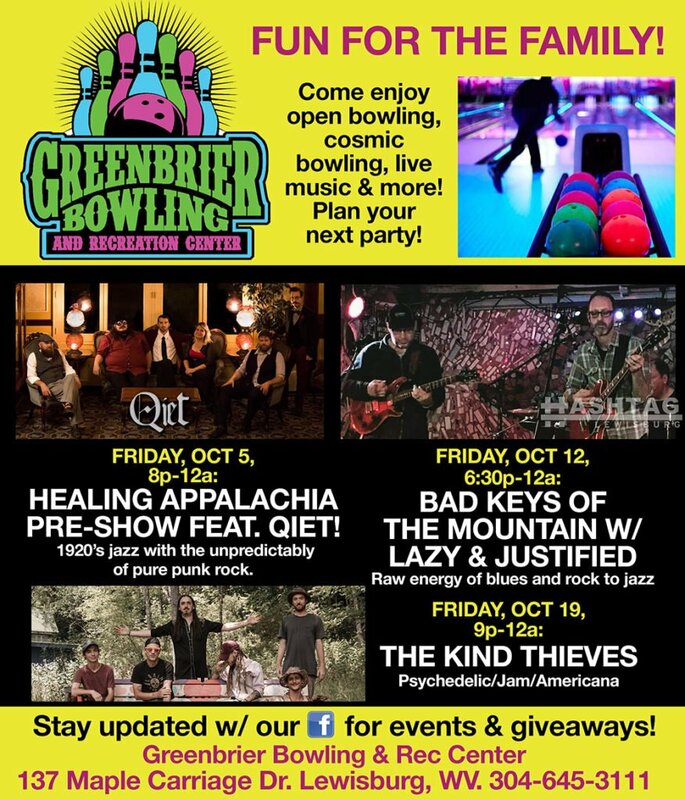 On Friday, Oct 12th, Bad Keys of the Mountain (pictured above) and Lazy & Justified will play at Greenbrier Bowling & Rec Center, 6:30pm-12am in Lewisburg. $5 cover. Bad Keys of the Mountain play cosmic American music. Lazy & Justified are an Americana/Folk Duo. 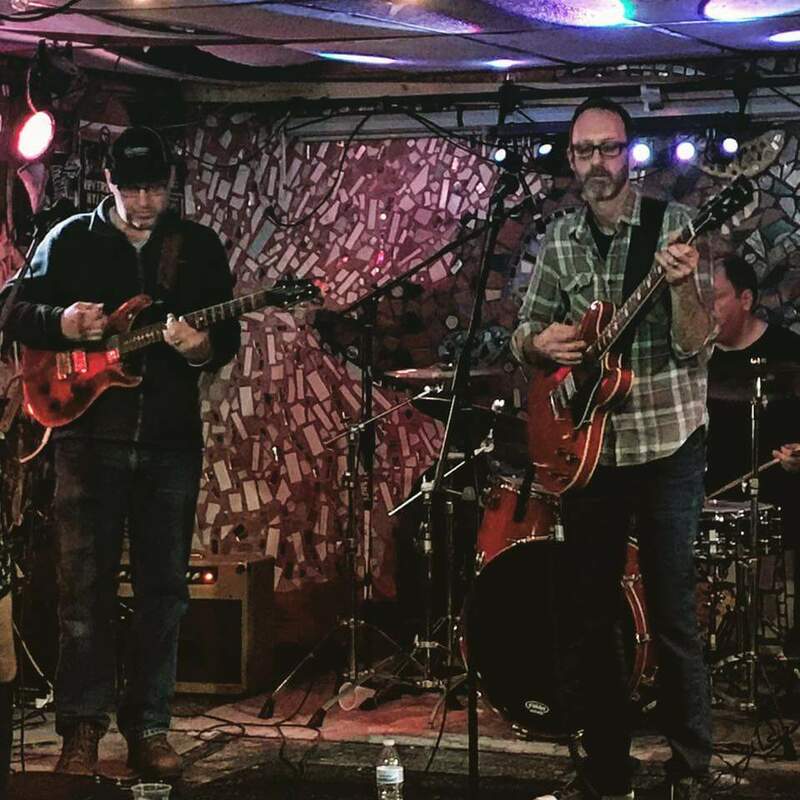 Formed in December 2017, Bad Keys of the Mountain is a Rock and Roll band out of Charleston, WV. Started by David McGuire (Songwriter/Singer/ and Guitarist) and Joey Lafferty (Bass Guitar). 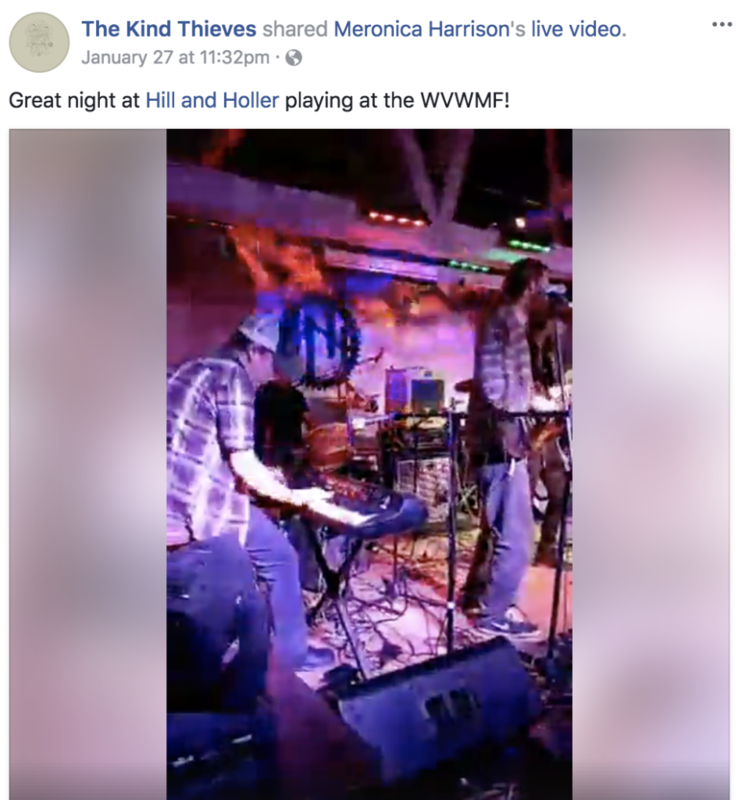 Shortly after, they were joined by two seasoned veterans of the Charleston music scene, Chris Hudson (Drums and Percussion) and multi-instrumentalist Josh Cannon (Guitar, Mandolin, and Vocals). Together, they create a diverse palette of sounds which range from driving Rock and Roll to acoustic textures filled with light and shade. Influences range from the raw energy of the Blues and Rock, to the sophistication of Jazz and the sensitivity of Singer/Songwriter. This, combined with the honed artistry these players display, following melody and harmonies into new improvisational territory, makes this a band you NEED to see and hear. Lazy & Justified are a pair of Ruckus Raisin’, footstompin, good timin’ musicians playing music of the mountains and other areas. Later this month…. Beckley, WV’s The Kind Thieves (pictured above) return to Lewisburg, WV for their debut at the Greenbrier Bowling & Recreation Center on Friday, October 19th! Music starts at 9pm. Admission is $10. Hailing from the heart of Appalachia, The Kind Thieves are a musical tour de force that is far greater than simply the sum of its parts. 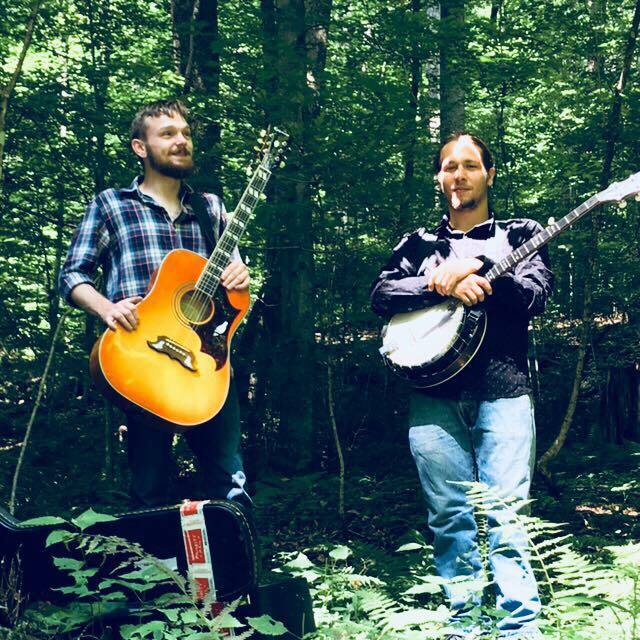 With members originating from all over the Southern West Virginia region, the Thieves pull influences from musical genres spanning from classic rock to funk to bluegrass, wrapped up in a jam-band bow that promises a 100% original and mind-blowing live experience every time they perform. But jam-band isn’t even a box you can put the Thieves into, with heart-wrenching melodies, jaw-dropping harmonies, and songwriting capability far beyond their years, there is no way of knowing which direction they’ll go next, and no musical stone they’ll leave unturned. The Kind Thieves debut record ‘Many A Thief’ was released in 2017 and continues to win new fans with its unforgettable hooks and sweet storytelling sensibilities. – HashtagWV #106. October 2018. 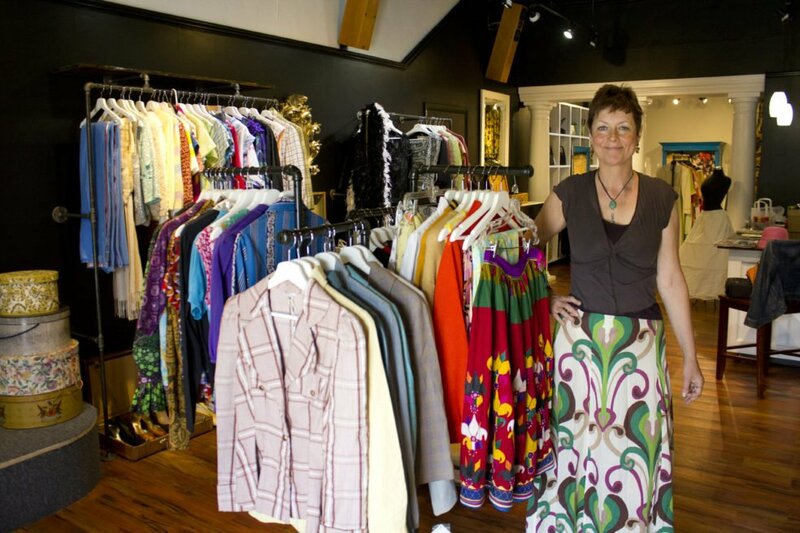 Fri. May 6: Grand Opening: Vintage 102! Bodega & More Coming to Irish Pub!